For many marketing professionals, thinking up a new advertising strategy is tough. So, why not check out past successes for inspiration? Where the Trade Buys, a leading UK supplier of outdoor banners and printing services, has found a collection of the world’s best marketing campaigns and looked at why these achieved such phenomenal success to help you plan your next ad strategy. Personal care brand, Dove, launched an incredible marketing campaign in 2004 that everyone still remembers today. A series of outdoor banners and ads were designed around a social experiment, where a sketch artist — who’d been trained by the FBI — was asked to draw two images of a woman: the first as she described herself and the second as a stranger described her. The outcome was that these images looked completely different, and Dove combined this result with the statistic that a mere 4% of women find themselves attractive to create a hugely successful marketing campaign that truly resonated with its audience. Releasing a series of banners and billboards portraying regular women next to contradictory checkboxes for the viewer to choose between (e.g. ‘wrinkled or wonderful’ and ‘fat or fit’), the brand incited a debate about female beauty standards that went viral across digital media. Dove’s advertising strategy was insightful, inspiring and sensitive; encouraging women to see themselves in a different light. To date, Dove’s Real Beauty campaign has been seen in around 110 countries. How can you replicate Real Beauty in your marketing campaign? Looking into issues affecting your target consumer is a great way to create a successful marketing campaign. Dove focused on a real problem concerning its key demographic and turned it into something positive, which not only helped women feel better about themselves, but also reflected positively on the brand. Going back to the 1960s, print marketing was huge and one brand used it to its full potential. During this era in the US, people only wanted big cars, and sales of small motors from German manufacturers were low. So, how did Volkswagen skirt around this issue? By playing into the audience’s hands. Volkswagen created banners and newspaper ads with lots of white space to highlight the compact feature of its vehicles. 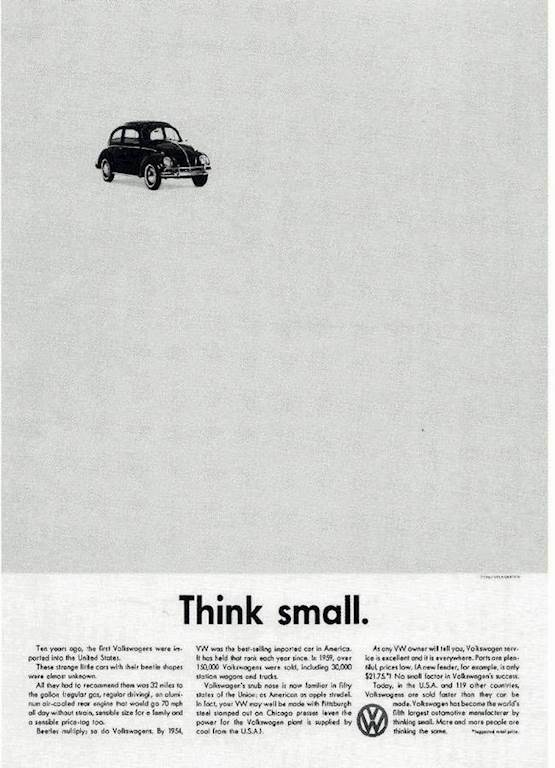 So, when other car brands were packing their ads from border to border with copy, color and imagery; Volkswagen stood apart from the crowd and was noticed for its ingenuity and honesty — its cars were small, and that’s what it told you. 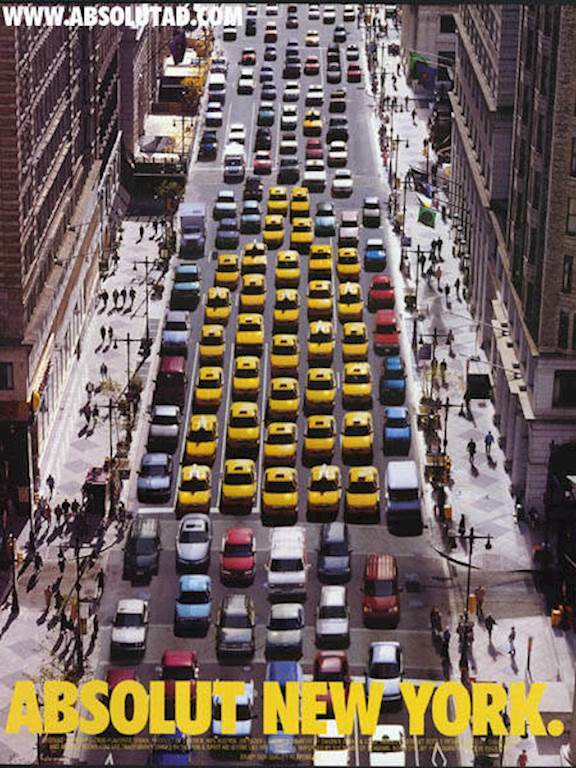 How can you replicate Think Small in your marketing campaign? The lesson to learn from Volkswagen is to be truthful — highlight, don’t hide, what makes your product or service different. Advertising is believed by many to put an unrealistic spin on reality to sell its customer a dream, so any brand that focuses on honesty is sure to achieve credibility. By far one of the most memorable marketing campaigns, Nike’s Just Do It strategy launched at a time when the sports brand was floundering behind Reebok in sales of shoes. Searching for something that would grab attention, the people behind the campaign, which started in 1988, focused on the tagline ‘Just Do It’. This famous slogan was soon seen on banners and billboards everywhere. Why? Because it was clear, concise and emotive. Can’t be bothered to run? Just do it. Don’t think you can handle an hour at the gym? Just do it. Within ten years of its launch, the campaign had boosted Nike sales from $800 million to $9.2 billion — all due to a tagline thought up in around 20 minutes. How can you replicate Just Do It in your marketing campaign? The Just Do It campaign is evidence that you can build a phenomenal marketing strategy around a simple, three-word slogan. ‘Just Do It’ was seen on various banners depicting a range of sports people performing multiple exercises. The tagline, not the video or image, was the crux of the campaign. Using banners, posters and billboards means your slogan won’t vanish until it’s taken down, which makes this strategy excellent for print marketing. If you want this type of success, perhaps adopt this strategy by concentrating on a solid slogan — that encapsulates your brand and speaks directly to your core audience — and building out from there. In the US, the Got Milk? campaign is one of the most iconic marketing campaigns ever. 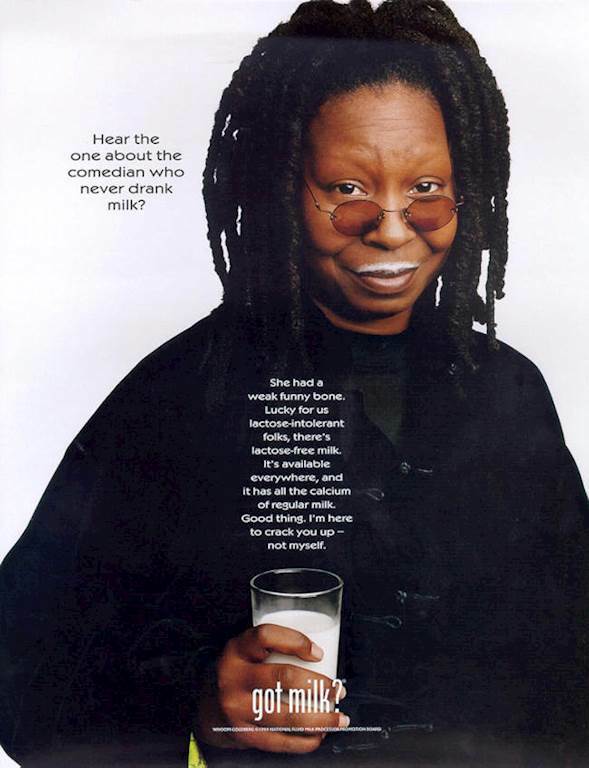 Essentially consisting of images depicting celebrities with milk moustaches next to the tagline ‘Got Milk?’, the campaign boosted milk sales in California by 7% within its first year. The success of the campaign in the Golden State meant that the strategy started breaking borders, and soon Got Milk? posters and banners were spotted in stores and on highways across the country before moving to television and the internet. Interestingly, Got Milk? wasn’t created to target new milk drinkers — instead, the campaign focused on speaking to people who already were. How can you replicate Got Milk? in your marketing campaign? Not all advertising strategies are looking to attract a fresh demographic. If one of your products is dropping in sales, or a service you offer isn’t performing as well as before, your marketing strategy could be aimed at reconnecting with customers. The Got Milk? strategy is just one example of how even everyday items can be injected with humor (i.e. the milk moustache) and glamour (i.e. use of celebrities). The Absolut bottle shape campaign is one of the best uses of print marketing. Fundamentally, this strategy consisted of banners, billboards and ads portraying an Absolut bottle outline in various real images. This included a Christmas advert depicting a woman carrying stacks of gifts in a bottle formation (tagline: ‘Absolut 24th’) and an aerial shot of NYC’s Central Park shown with an added section at the top to create a bottle neck and cap shape (tagline: ‘Absolut Manhattan’). Amazingly, Absolut used this simple idea — shuffling around mundane objects and scenes to create a vague bottle outline — for more than a quarter of a century. Before it, the brand had less than 3% of the vodka market in the US and by the end, its name was on the label of half of all the country’s imported vodka. How can you replicate Absolut Bottle in your marketing campaign? If you’re stuck for inspiration when it comes to your next marketing strategy, Absolut tells you to go back to basics. Really look at your products and see how you can incorporate the feel, look and shape of them into your campaign. Large outdoor banners and billboards offer the opportunity to capitalize on colors, textures and silhouettes to turn something simple into something intriguing. So, pick your brand apart and diversify what you have. Bear these success stores in mind and let them inspire your next print marketing campaign.